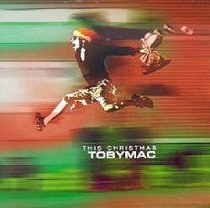 TobyMac is a Grammy Award winning artist, producer, and song writer. First known as part of the popular group DC Talk throughout the 1990s, he launched a solor career in 2001 and has won numerous awards, earned three certified gold albums, and had sin No. 1 Christian singles. City On Our Knees, the inspiration for his latest book, spent 13 weeks as Billboards No. 1 Christian song. His previous books are Jesus Freak (with DC Talk) and Under God (with Michael Tait and WallBuilders). TobyMac is married, with 5 children, and makes his home near Nashville, tennessee.